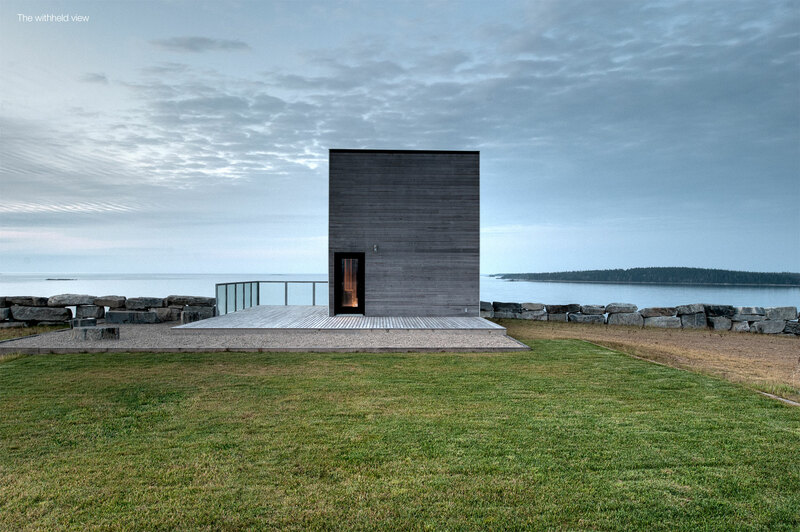 A pure, austere wood box is precariously perched off the bedrock cliff, ‘teaching’ about the nature of its landscape through creating a sense of vertigo while floating above the sea. This efficient, 960 square foot cabin functions as a rustic retreat. It is intended as an affordable, high amenity prototype-on-a-pedestal. 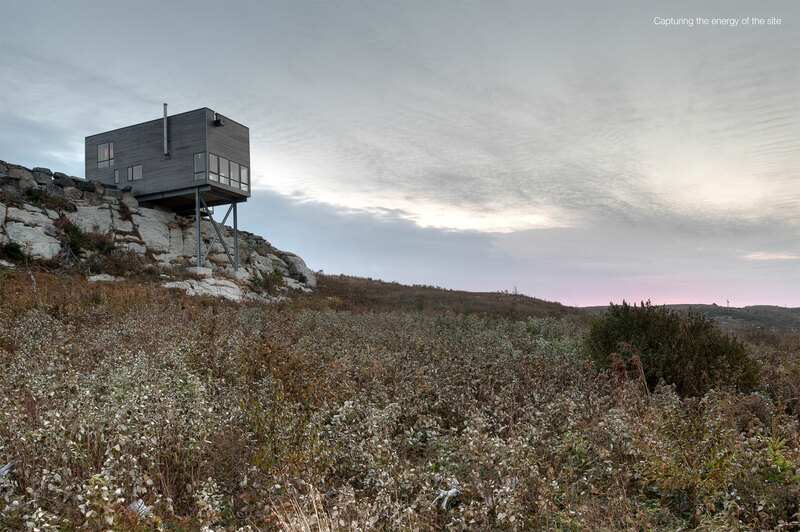 The project’s rich spatial experience and dramatic landscape strategy is contrasted by its material frugality. 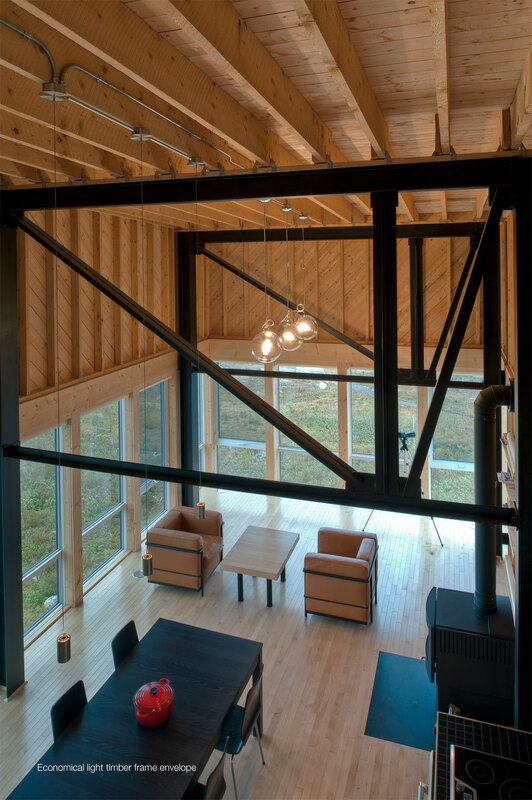 The light timber frame has also become the dominant domestic construction system in North America. Despite its widespread use, its inherent high level of environmental sustainability, its affordability, and its subtle refined aesthetic, architects have been reluctant to embrace it. 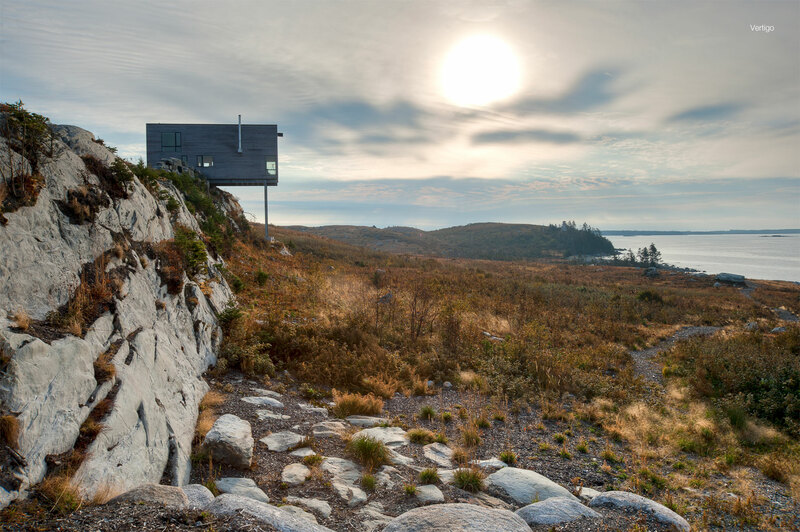 "Among the many weekend and vacation house submissions, this insightful reinterpretation of the archetypal cabin in the landscape was a clear standout project. Perfectly judged for its setting, it elevates plain vernacular form and ordinary materials into a potent mediation on the relationship between the man-made and nature. 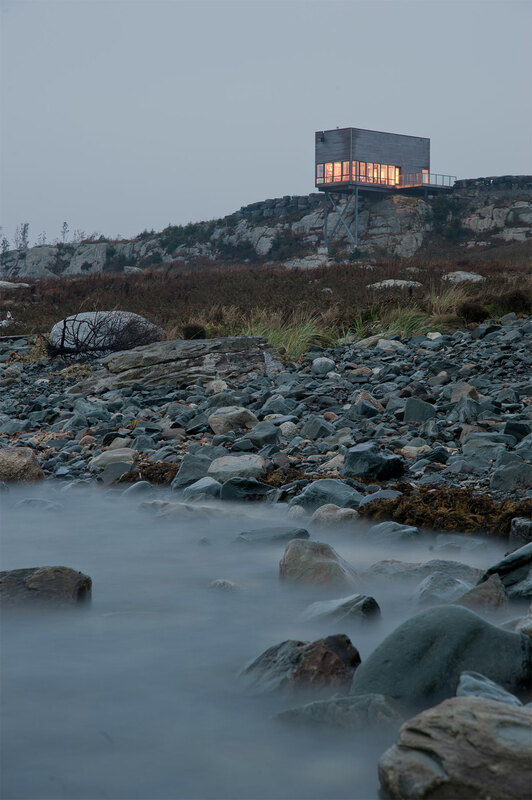 Its sober tectonic language resonates delightfully with the surrounding coastal landscape and its haiku-like simplicity and exquisite modesty distils the notion of dwelling into a beautiful and memorable piece of architecture."